A 15th Century Welsh custom (with no legal status) was that whoever could build a crude house overnight on common land, with walls, a roof and smoke emitting from the chimney by dawn, could claim ownership of the site itself plus an area of land defined by the distance he could throw an axe from each corner of the cottage. This Tŷ un Nos ('house in a night') was erected in about 1475 by two brothers, apparently outlaws. 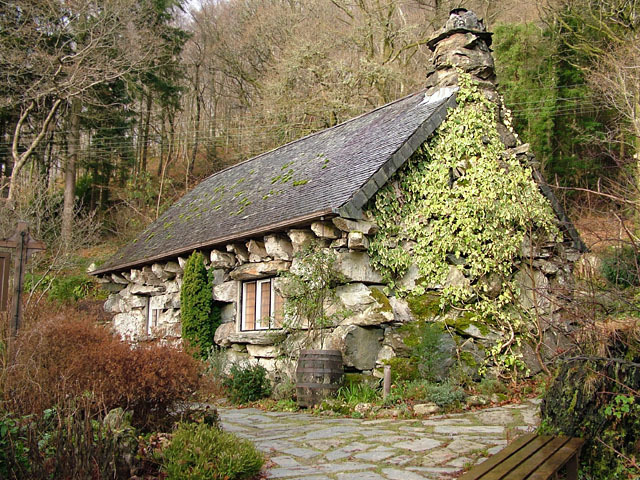 The cottage had a sinister reputation in the following centuries, being used as a hideout by highwaymen preying on the old Betws-y-Coed to Bangor coach road. In the 19th century it was temporarily occupied by workmen building Thomas Telford's London to Holyhead road, including the adjacent Tŷ Hyll Bridge. The cottage is now Grade II Listed, serving as a small museum with even smaller offices upstairs.